Is there a more American game character than Pac-Man? I know it’s Japanese, but come on, has there ever been a better metaphor for Fitzgerald’s American Dream? The Jay Gatsby of games swallows whole each and every pellet in its path, with no hope of stopping, until the ghosts of one’s past offer death’s sweet release. Unlike Tetris, a Soviet fantasy about placing blocks in an orderly fashion. And so, maybe I could be depressed or annoyed that NAMCO Bandai Games is releasing PAC-MAN DASH! (Free), the least surprising free-to-play runner released this summer. But instead I’m charmed by the appropriateness of this once-great capitalist icon finding its home in a game bursting with IAP and recycled ideas. Is this a cynical game? Maybe. But maybe it’s genius! Either way, DASH! isn’t the worst thing I’ve ever played. In fact, putting aside the cynicism of the exercise, it’s kind of fun. And Pac-Man makes sense as a runner. 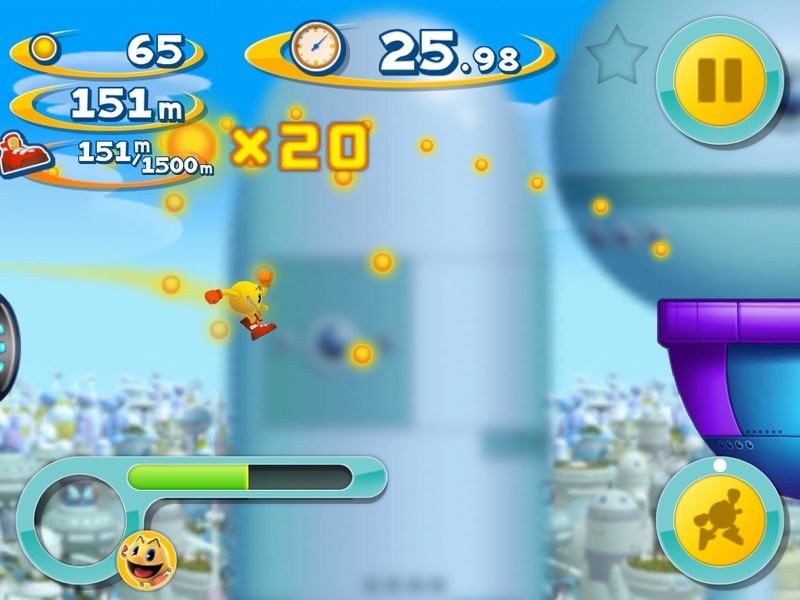 Cookies can buy new characters, and different power-ups and characters make these tasks easier. After finishing 10 missions in each world, a new world opens up. There are five total. Each stage looks exactly the same, and only the five worlds bare any distinction. It would have been nice to see a few more locations, but the worlds that do exist offer some visual and gameplay variations. PAC-MAN DASH‘s IAP is particularly egregious. It takes one heart to play or replay a stage, and the game starts you with 10 hearts that take over 13 minutes to refill. That’s 13 minutes per heart. So after depleting my stamina, it takes a solid two hours to keep playing uninterrupted. Still, I managed to play for a solid 20 to 30 minutes at a time, and the game does offer one free recharge. The next recharge is a buck. It may be crass, or it could be the game’s own subtle satire of the free-to-play model. Maybe. Probably not, though. I sound harsh, but really, if you have a high tolerance for cynicism, enjoy runners, and love hearing those delightfully nostalgic “wakawakawakawaka" sounds, then PAC-MAN DASH! is a solid use of your zero dollars. As much as it made my eyes roll, it’s also some super sugary eye candy. And there’s real dumb fun to upgrading my character so that it can triple jump and magnetize every ghost on the screen, or getting enough pellets to turn into giant Pac-Man and trample all the ghosts in your path. I hated Sonic Dash when I first played it. I did. I was sick of runners and I didn’t like that the newest Sonic game had to be a runner. Well, guess who’s still playing Sonic Dash? I hate to say it, but I gladly finished every mission in PAC-MAN DASH!, and should the developers release new content, I’ll likely download the update and give them even more of my time, if not my IAP dollars. Once you accept that it’s terrible, it’s really not so bad. Gobble up all the cookies and ghosts! 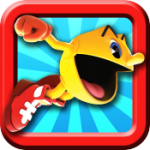 PAC-MAN keeps busy running and eating in this action-filled game! Previous PostPrevious What Do You Think of Push Alerts That Nag You to Keep Playing?